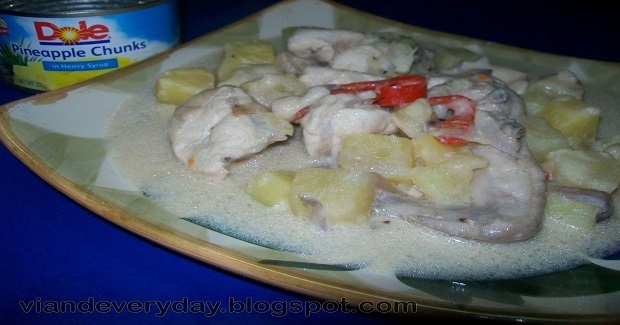 Chunky Pineapple Chicken (Pininyahan Manok) Recipe - Gutom Na! Filipino and international recipes for Filipinos! Posted on Friday, March 10th, 2017 at 6:10 pm. In a pan, heat the oil, saute garlic and onions then add potatoes. Mix the chicken and cook for about 3 mnutes. Add the pineapple chunks then pour the evaporated milk. Cover and simmer for 5 minutes or until the chicken is cooked. Stir then season with salt and seasoning mix. Need help with your WordPress site?